Pay Per Click has an instant impact on revenue and gives your brand a much larger exposure. Top placement on the major search engines is imperative. SPYDER has 20 years of experience creating award winning PPC campaigns on Google AdWords, Bing, Facebook, Instagram, Twitter and YouTube. We have handled over 15 million dollars in clients' ad spend over the years. Our campaign strategies are designed to meet the needs of our clients and their particular market conditions. 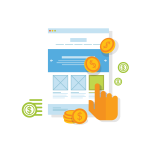 We provide up-to-date, Pay Per Click services that include: Paid Search Ads, Video Advertising, Display Ads, PPC Remarketing and Social Advertising. We deliver results that help our clients achieve their business revenue objectives. We manage our clients’ accounts on a daily basis and monitor bid prices and budgets to ensure that we are maximizing their ROI and click spends. Earn a positive ROI through our PPC search advertising. Spend money wisely and use the most targeted and cost effective form of advertising today. Turn your valuable ‘potential customers’ into ‘loyal customers’. 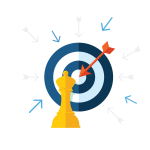 Our team of PPC professionals will help you re-engage users who have expressed an interest by developing a strategy that will meet all your needs. 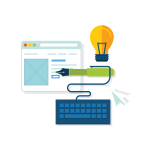 SPYDER's team are experts in online PPC advertising. Our team is ready to help you get the competitive advantage by creating great ads that will increase your brand’s presence. Contact SPYDER today and get a maximum return on your PPC dollars and lower your click costs.